A: To stop terrorists like Saddam bin Laden from building another World Trade Center in Iraq – just so they can blow it up again. A: The plan is the central front in the war against terror! We invaded Iraq to get Iraqis to fight us in Iraq so they wouldn’t fight us at home. A: Now you’re catchin on! Arthur – July 2005 – Out now! Yes, another issue of Arthur is now set loose in the world. I believe that if you believe in destiny it will make a difference in what happens to you. Some people think ‘I am chosen and I’m a favored person,’ and that gives them a confidence that has the effect of making them chosen. The reverse happens as well. Some people consider themselves cursed and believe that nothing will ever go right for them, and of course, nothing does. In our current understanding of psychic phenomena, we may be in a similar place as the West was in the 1750s in regards to electricity – the scientists of the time had noticed lightning and static shocks, but had no conception of how to convert this energy into a transformative force for their world. By Curt | Posted in Books, Long Now | Comments Off on Arthur – July 2005 – Out now! The LA Weekly has a longish interview/article with French literary terror Michel Houellebecq (by Brendan Bernhard), on the occasion of his visit to LA for the publication of his book on Lovecraft. The article notes that he has a novel forthcoming (in France) this summer entitled “Perhaps There Is an Island”. By Curt | Posted in Books | Comments Off on Houellebecq in LA! If, like me, you’re into the New York Times crossword puzzle, then this is the book for you! Marc Romano centers his book Crossworld on the 2004 American Crossword Puzzle Tournament, held in Stamford, CT Marriott Hotel (described as “nestled amid the surrounding landscape of vacant parking lots and deserted office complexes”). We learn lots about NYT crossword editor Will Shortz (who took over in ’93), various crossword ‘constructors,’ some history of crosswords and British cryptics, and lots more crossword trivia (isn’t that what crosswords are all about?). The folks who go to these tournaments can finish very hard crossword puzzles at incredible speeds; some weeks I struggle with a Friday or Saturday puzzle for hours, and these folks can finish them in 10 minutes or less! Romano himself is quite good, and in his rookie try comes in at about the middle of the 500-strong pack. I see that in 2005 a 20-year-old won the Tournament! 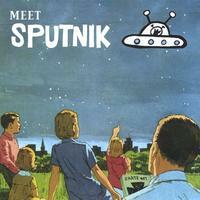 Here’s a plug for the band Sputnik, led by a gal I went to high school with, Genie Morrow. Check out the song “She’s Alive” for a taste. Looks like they play pretty regularly in New York City, so check ’em out if you get a chance. Kary Mullis won the Nobel Prize in Chemistry in 1993, and in 1998 published a sort of memoir & manifesto, Dancing Naked in the Mind Field. I read it today. An entertaining book, from an interesting character who believes in science and evidence, and has some surprising notions. He questions the AIDS/HIV linkage, tells of a possible alien encounter in Mendocino county, thinks the idea that humans are causing climate change is pretty unlikely, and he used to synthesize his own drugs while at Berkeley in the sixties. He believes there is good evidence for astrology too! I was born at 17:58 Greenwich Mean Time on December 28, 1944 in Lenoir, North Carolina. You can find out more about me from that thean you can from reading this book. Just a pointer over to an interview in the latest LA Weekly, featuring John Doe and Exene. Update: I’ve read more on this case, and insiders argue that a lot of this ruling is over general limits on federal action in many other areas. So as a precedent perhaps it would be unwise to follow the line of thinking that Thomas espouses. But in this case at least it does seem to me that the Feds far overreach. I read this novella, Casanova’s Return to Venice by Arthur Schnitzler (1918), just about straight through in one sitting. The story is about Casanova, now about 50 (presumably this is set in 1774), after many years of intrigue and sexual power wanting to return to his home city of Venice (he had been exiled for years). But before he gets there he meets an old acquaintance whom he had helped years before, and he reluctantly accepts the invitation to go to the man’s home. There he finds an enchanting, brilliant young woman who he desires greatly but she has little interest in the older man. This does not stop Casanova, of course. I thought this work was very well done, probably best appreciated by those getting a little further on in years, and it seemed very contemporary (I often find it hard to relate to books written before WWII). I am eager to read more of Schnitzler.